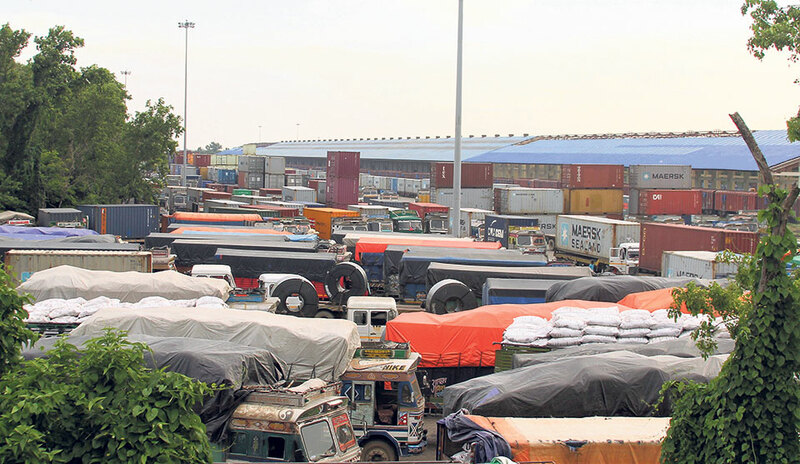 BIRGUNJ, July 20: The number of containers coming to Sirsiya Dry Port in Birgunj from third countries via Indian ports increased by nearly 25 percent in Fiscal Year 2017/18. This suggests a healthy growth in the country's third-country imports via the dry port. In FY 2017/18, 41,641 containers brought the country's third-country imports at the dry port compared to 33,196 containers a year earlier. According to data of Dry Port Customs Office, 472 rakes came to the dry port bringing third-country imports in the last fiscal year compared to 382 in FY2016/17. A rake can carry bring up to 90 containers, according to importers. The standard size of containers is 20-feet. Customs officials say plastic granules, liquors, newsprint, food grains, lubricants, automobiles and motor vehicles, electronic goods, soft drinks, sugary products, machineries and spare parts, readymade garments, and raw materials for industries, were the country's major imports via the dry port in FY2017/18. “Merchandise goods bound for various parts of the country comes through this port,” Surya Prasad Sedhai, chief of the Dry Port Customs Office, told Republica. "We are in the process of collecting the quantity of products imported via the dry port in the last fiscal year,” he added. 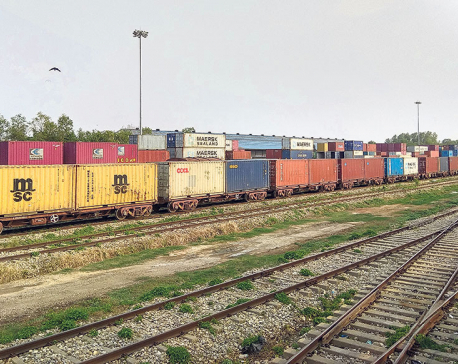 Bishnukant Chaudhary, chief of Himalayan Terminal, which operates the Sirsiya Dry Port in Parsa district, attributed the surge in the number of containers at the dry port to the growing attraction of railway among importers. Sirsiya Dry Port is the first and only rail-linked terminal in Nepal which caters to third-country imports and exports as well as bilateral cargo from and to India. According to Chaudhary, 380 rakes came from Kolkata port while remaining 92 came from Visakhapatnam in the last fiscal year. 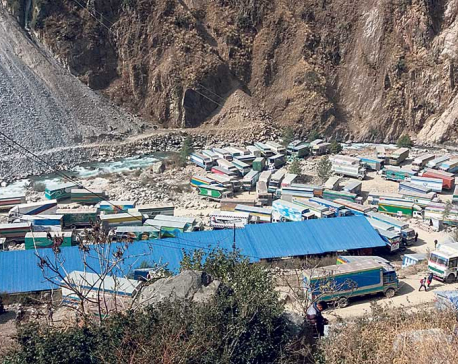 “All in all, the number of containers entering Nepal is on the rise in recent years as the attraction of railway among traders and importers is growing," Chaudhary added. Though the import is increasing at a rapid pace, the export of goods from the dry port is disappointingly low. According to the data of Himalayan Terminals, only 1,620 containers laden with merchandise goods were exported from Nepal via this dry port in FY2017/18. Exports account for only 3.88 percent of the imports from this dry port. However, total export in the last fiscal year was 29 percent higher than FY2016/17 when 1,254 cargo containers carrying Nepali exports had left the dry port. Except containers, the number of cargo trains arriving with bulk cargoes (of around 2,500 tons) in one rake fell in the last fiscal year. According to the data, 445 rakes carrying packed-goods and various types of irons came to Nepal in FY2017/18, compared to 447 a year earlier. As iron importers prefer road transportation over railway due to the delay in delivery of some consignments, the import of goods through such rakes remained stagnant, according to officials. As a result, the dry port custom office could not meet the revenue target in the last fiscal year. The customs office collected only Rs 27.34 billion in revenue against the target of Rs 28.29 billion.